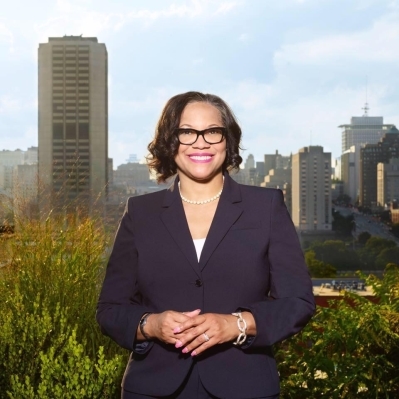 My name is Denise Watson and I am a Richmond native who enjoys living in our city and takes pride in knowing and serving my neighbors in all their real estate needs. People in Richmond and surrounding areas know they can call on me whether they have a simple real estate question, need a free market analysis, or are scouting out a good investment property. I am a REALTOR® who knows her community inside and out-- schools, churches, health clubs, libraries, parks, zoning codes, these are all important things to consider when you are looking to buy a home. I keep abreast of the latest market happenings so that I can answer all my clients questions—-especially the hard ones! As your REALTOR® I will go that extra mile in helping you buy or sell your home for the right price. Your best interests are my #1priority. With the backing of the most respected company in the area I can help make your dreams a reality. HOME SWEET HOME!!!! This well maintained 2,481 square foot, 2-story colonial located in one of Henrico Counties established neighborhoods is within minutes to I-895, I-295, downtown, shopping, dining, entertainment and fitness. Nestled away in a cul de sac on a park like setting lot this home has much to offer -- 4 spacious bedrooms, a breakfast nook, dining room, family room with a gas fireplace, a loft area, wall to wall carpeting, low maintenance vinyl siding, spacious front and rear yards, a two-tier deck and an additional room ideal for a "man or woman cave."